• Receiver Tajae Sharpe did not practice. 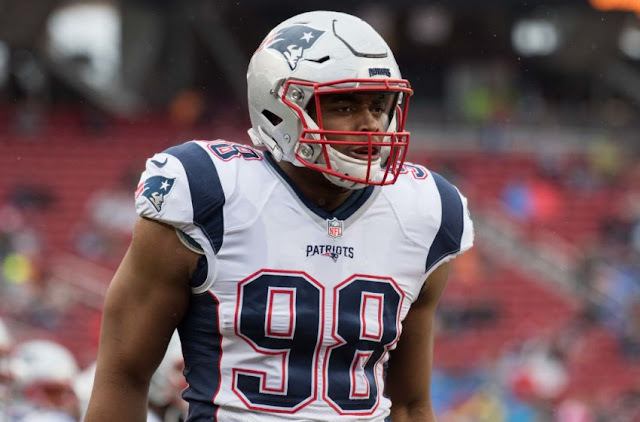 He was placed on the team’s Physically Unable to Perform list at the start of camp because of the foot injury he suffered earlier in the offseason. • Linebacker Kevin Dodd practiced for the first time since having his second foot surgery last December. Afterward, Dodd said he’s still working his way back to being himself, but he felt good. 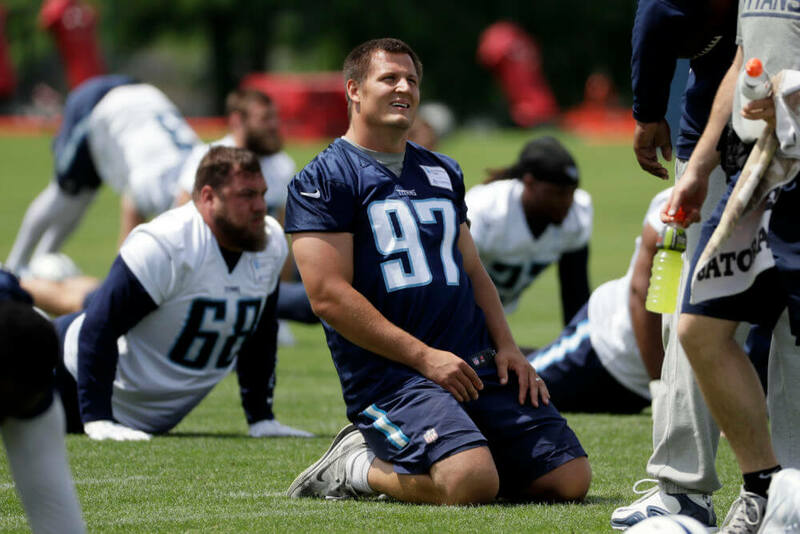 • Mularkey praised defensive lineman Karl Klug and called him “an animal” after watching him practice. Coaches are doing their best to keep Klug from going all-out while coming back from an Achilles injury, but it hasn’t been easy. Jim Harbaugh says Pep Hamilton treats Michigan players like he does his own children. 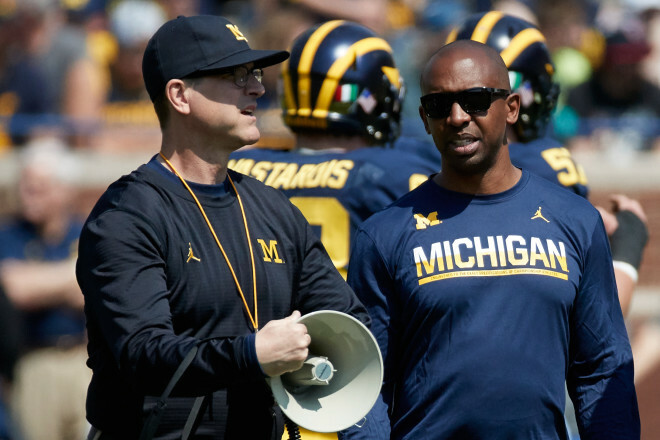 Michigan head coach Jim Harbaugh brought in an old friend, and more, when Pep Hamilton arrived to coach his quarterbacks and wide receivers. The two worked together before, when Hamilton served as Harbaugh’s offensive coordinator at Stanford in 2010. Hamilton oversaw the senior success of Andrew Luck and went on to coach him with the NFL’s Indianapolis Colts as well. Now, he’s hands on with the Michigan QBs and pass catchers, scrutinizing position battles of some of the highest-profile spots on the squad. Harbaugh knows those players are in good hands. “It’s been fantastic,” Harbaugh said in Chicago on Tuesday. “He’s really one of the best coaches out there, one of the best coaches in all of football, pro or college, in the country. Our players see it and are benefiting greatly. Redshirt junior quarterback Wilton Speight noted before Michigan’s trip to Rome that he had a “working relationship” with Hamilton, because Hamilton had recently come on board and they hadn’t been around each other much. By the time the Wolverines came back, Speight felt like the two knew each other much better. That getting-to-know process is ongoing with all of the players under Hamilton’s direction now. Harbaugh said it will likely take 10 days or so of camp to get to the point of a starting quarterback emerging, and Hamilton will provide significant input into that decision. Harbaugh trusts him in all areas of the game, but says Hamilton is about more than guiding football players. “I love Pep,” Harbaugh said. “He is a tremendous father. He should write a book. He really should. He should be on YouTube and take videos on how to parent. It’s so good. “He coaches the players on our team just like he talks to his own kids. He doesn’t treat them different than his own kids. It’s high expectations. He teaches them, gives them the tools, and pushes them along to be as good as they can be. 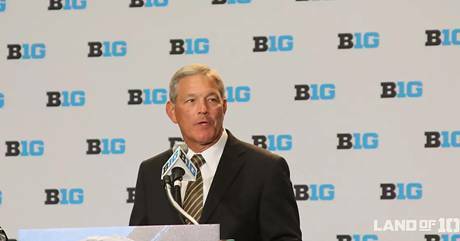 Iowa coach Kirk Ferentz, addressing reporters at BIg Ten Media Days on Monday, has lots of admirers. CHICAGO — When one asks Iowa football players about the secret of coach Kirk Ferentz’s longevity, their initial response doesn’t revolve around a game, a technique or a drill. Ferentz, 61, now enters his 19th season at Iowa and is the longest-tenured coach in the major college football. His credentials are strong. His 135 wins at Iowa ranks seventh in Big Ten history. His 82 league victories rank sixth. He’s 135-92 in 18 years at Iowa, just 8 wins shy of tying Hayden Fry for first. Yet those statistics weren’t broached when his players discussed Ferentz. They didn’t get to the wins. Iowa’s three players in attendance all played for a 12-win team that won the Big Ten West Division title in 2015. They were on the field in some capacity last year for a 14-13 upset of No. 3 Michigan. They’ve played for the good times and the rough moments. Losing all four trophy games in 2014 and winning all four in 2015. Instead of offering up those memories, they touted Ferentz as a person. With 6 bowl wins, Ferentz ranks third in league history. He has 5 top-10 finishes and a pair of Big Ten titles. He has 5 seasons of 10 or more wins, one of only 7 coaches in league history with more than 3 10-win seasons. Ferentz likely is a Hall of Fame coach on the field. Yet his biggest mark on his players, his competitors and Big Ten Commissioner Jim Delany is how he carries himself. “Kirk is a special guy, special coach, has had consistent success at Iowa, has been, I think, a leader not only on the field but off the field,” Delany said. “I’ve gotten to know him in a good way over a couple of decades and have tremendous respect for him as a leader of young people, as a football coach and as a consistent coach leader. Ferentz’s humility came through Monday every time he was asked about why his tenure ranks as the nation’s longest. He pivoted to his friend Bob Stoops — who was hired by Oklahoma one day before Ferentz agreed to coach Iowa — as one of the great coaches in history. Ferentz then talked about Iowa’s continuity at athletics director with only 3 since 1970 and how the university prefers to help the status quo succeed rather than pull quick triggers. When pressed, Ferentz cited his players and assistants as instrumental for Iowa’s success. Pressed again, Ferentz admitted it was a good fit for Iowa and himself. There was nothing about what he developed at Iowa, not an ounce of braggadocio. His players, however, weren’t afraid to speak for him. At a news conference last week, Welsh discussed his battle with depression and how Ferentz supported him throughout every bump on his road. “If you want to know why he’s been here so long, I think it’s because he’s a good person,” Welsh said. Of course football is a factor, too. Without the wins and player development, Ferentz wouldn’t have lasted more than a few years. He started 2-18 in his first 2 seasons before turning around Iowa with a 31-7 record and 3 top-10 finishes from 2002-2004. Iowa under Ferentz is known for fundamentals, physicality and mental toughness. The foundation is unwavering, and Ferentz’s competitors know what type of effort they’re going to get from Iowa. “Kirk’s got such a solid football background,” said Fox Sports analyst and former Pittsburgh coach Dave Wannstedt. “He’s got a great blueprint on what a successful program takes. He’s been able to surround himself, over the years we’re talking, with assistant coaches that have bought in and he’s been able to trust them to implement that. He’s had the support of the administration and the university to do the things that he’s had to do. He’s very consistent. 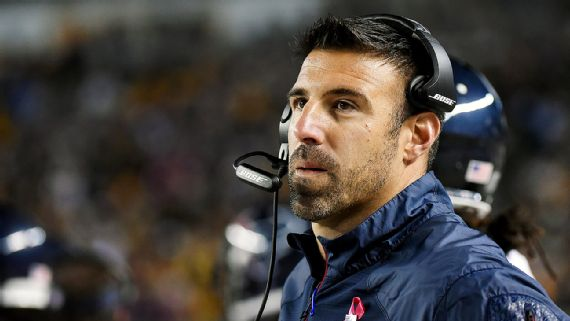 From Robert Klemko's article "MMQB: NFL Training Camps Begin, And So Does Competition for Toughest Non-QB Job"
In putting together a Top 10 head coaching candidate list for publication later this week, I keep hearing one surprising name over and over: Mike Vrabel. The former Steelers, Patriots and Chiefs linebacker only retired in 2010, but he’s made quite the impression on several of the NFL personnel executives I’ve surveyed so far. 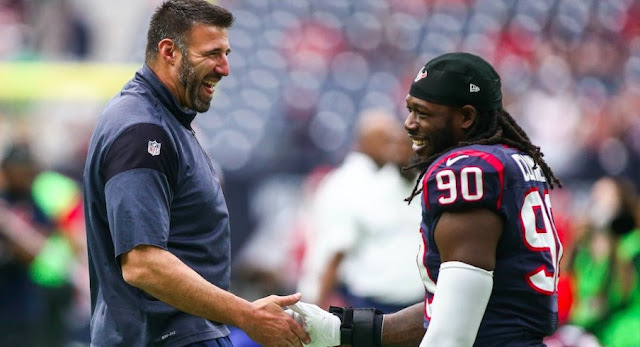 After just three seasons coaching linebackers with the Texans, Vrabel’s popularity is right up there with names like Jim Schwartz, Steve Spagnuolo and Harold Goodwin in terms of head-coaching hype. A Top 10 finish for the Texans defense in his first season as coordinator would all but guarantee him serious consideration for every head coaching opportunity next year. Every NFL training camp is different, but there are a few consistent things you can count on happening at each one each year. At some point, for example, a star will say that he's "just excited to hit a guy wearing a different colored jersey" after about a week of practicing against his teammates. Also on the list: a coach will tell reporters that his defense plans on being more aggressive and hopes to create more turnovers in the regular season. One of the more pleasant camp traditions, meanwhile, is that undrafted rookie who goes from stand-in to stand out and makes the team by impressing in drills and preseason contests. But while there will be plenty of time in the coming weeks for trying to figure out who'll do that for the Redskins in 2017, let's instead look back at a handful of the players who've already accomplished that in the past with Washington. Here are the seven best undrafted free agents the franchise has unearthed since 2010. Will Compton's made a steady climb up Washington's roster since entering the league as a free agent linebacker out of Nebraska. He was cut in his first season back in 2013 but latched onto the practice squad. He eventually debuted near the end of 2013, though, and made the 53-man squad the next go-round. 2015 was when he first started playing regularly, then last year he started 15 contests while also serving as a captain. Who will be called next time there's an NFL head-coaching job open? Coaching turnover is a constant reality in the NFL. We asked some of our NFL Insiders which folks will be getting calls the next time a head coach gets fired. Mike Vrabel has coached in Houston since 2014. He takes over as defensive coordinator this year. A one-time All-American at Ohio State, Vrabel played 14 NFL seasons and transitioned immediately to coaching, first at Ohio State and since 2014 in Houston, where he has helped oversee some dominant defenses. He takes over as defensive coordinator this year. Ken Dorsey is the Greatest Quarterback in the history of Quarterback U.
There’s really no argument, but here’s the case for it anyway. When you think of the greatest quarterbacks in University of Miami history, the big names often spring first to mind - Jim Kelly, Bernie Kosar, Heisman Trophy Winners Vinny Testaverde and Gino Torretta, maybe even George Mira Sr. if you’re old enough to remember him. None of them had a career at The U like Ken Dorsey. Dorsey was the ultimate winner as the team's starting quarterback, with an unbelievable record of 38 wins and only 2 losses. Hed led the team to the 2001 National Championship over Nebraska. He should have gotten a shot at two more. The Canes (and Dorsey) were robbed by the refs in the 2002 Fiesta Bowl, and by the NCAA in 2000 when they selected FSU over the Canes, even though their records were the same and the Canes had beaten FSU. Potentially, he would have been a three-time champion. No other Canes QB can claim that. Dorsey was named the co-MVP of the 2002 Rose Bowl, Offensive Player of the Year in 2001 and 2002, and First-Team All-Big East three times (2000, 2001, 2002). Dorsey was also a finalist for the Heisman Trophy in both 2001 and 2002; and the winner of the 2001 Maxwell Award for the national collegiate player of the year. QB U’s G.O.A.T. (Greatest of All Time)? No doubt. But what happened after this historically successful career at Miami? As you might guess, the NFL came calling for Ken Dorsey. Ken Dorsey was drafted by the San Francisco 49ers in the 7th round of the 2003 NFL draft. While teams did not question his leadership or football IQ, they did question his arm strength, which resulted in his low draft position.. The Niners were coached by former Canes HC Dennis Erickson. Their starting QB was Jeff Garcia, age 33, and Dorsey and 2nd year man Tim Rattay from Louisiana Tech were looked as potential replacements down the line. None of that ended up working out as planned. Dorsey rode the pine in 2003, but in 2004 he ended up starting seven games when Garcia and Rattay went down with injuries. He put up 1231 passing yards, along with 6 TD’s and 9 interceptions. Unfortunately, this was not a good Niners team, and his record as a starter was 1-6. Dorsey played one more season as a backup in San Francisco, but was buried on the depth chart behind number one overall draft pick Alex Smith. He was traded to the Cleveland Browns before the 2006 season, along with a 3rd round draft pick, for QB Trent Dilfer. Dorsey played 3 seasons in the Factory of Sadness, collecting a large amount of bench splinters in his football pants. The Browns, to no one’s surprise, continued to be terrible during his time there. In Dorsey’s last season in Cleveland, he managed to start three games, but only threw for 371 yards with 0 TD’s and 7 picks. He was released after the 2008 season - and just like that, his NFL playing career was over. 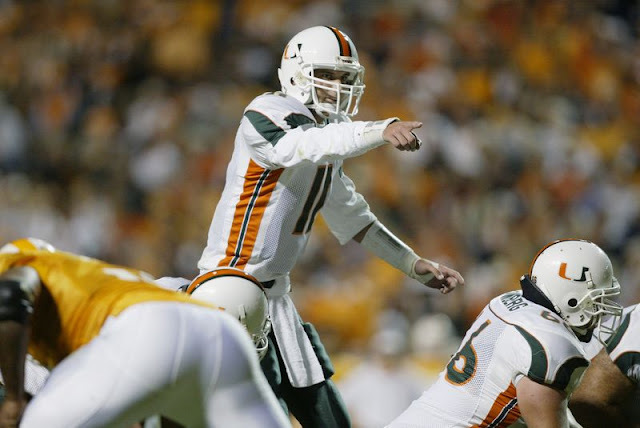 If anything, Ken Dorsey’s NFL playing career was the opposite of his college experience. While his arm strength limitations did inhibit his ability to succeed at the NFL level, the fact was that his last three teams at The U had much more high level pro talent than either the 49ers or Browns teams he played on. Surrounded with better talent, Dorsey might well have played a few more years in the NFL as a backup. Dorsey and his family moved to Lakewood Ranch, Florida, about 50 miles south of Tampa. There he sat waiting for the phone to ring throughout the 2009 NFL season. When an opportunity arose in 2010 to become the QB Coach at Lakewood Ranch High School, Dorsey took it. He helped guide the Mustangs to a 6-5 record and a playoff berth. This became a turning point in Dorsey's life. 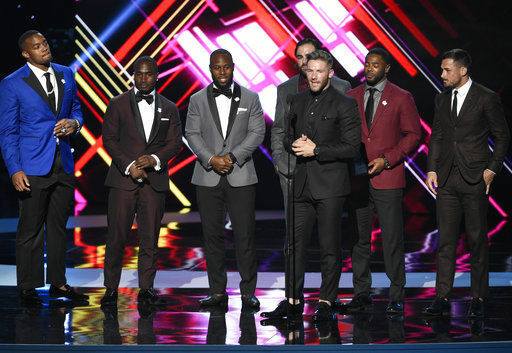 Coaching (at Lakewood) I realized that my accomplishments gave me a unique platform, said Dorsey. If I wanted to help a quarterback on his accuracy, show a wide receiver tips on running a route, or just show that you can’t blow off education, the kids listened to me. On April 26, 2011, he was named offensive coordinator at nearby Riverview High School in nearby Sarasota, Florida. In between high school football seasons, Dorsey got back into the pros - but this time in the CFL. Dorsey signed with the Toronto Argonauts on May 26, 2010. Once again, he found himself the backup QB, this time to former Miami Dolphins QB Cleo Lemon. His only action came in the club’s first pre-season contest when he completed 8 of 17 passes for 96 yards in a win over the Hamilton Tiger Cats. Dorsey lasted just one season in the Great White North, and on May 3, 2011, he announced his retirement from playing professional football. Later in 2011, Dorsey took a job with the IMG Madden Football Academy developing prospect quarterbacks, running backs, and wide receivers. 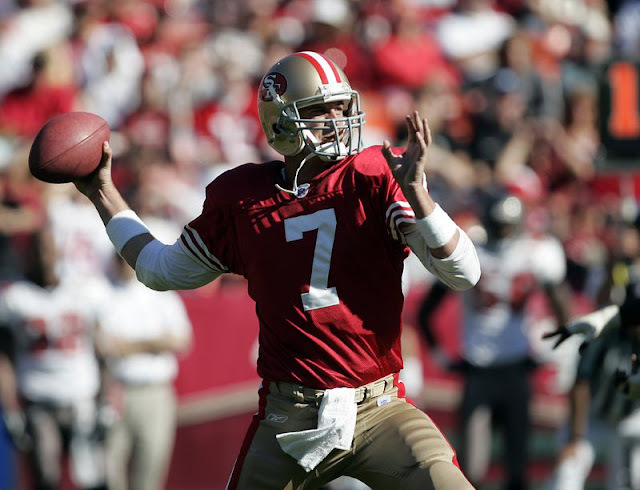 The job offer came from old FSU rival QB Chris Weinke. Among Dorsey’s students were future NFL players Cam Newton, Christian Ponder, Randall Cobb, and Joe Webb. Then the NFL called again. The Carolina Panthers offered Dorsey a pro scout position. He scouted the Panthers upcoming opponents each week; and evaluated free agents and prospects on other NFL rosters. 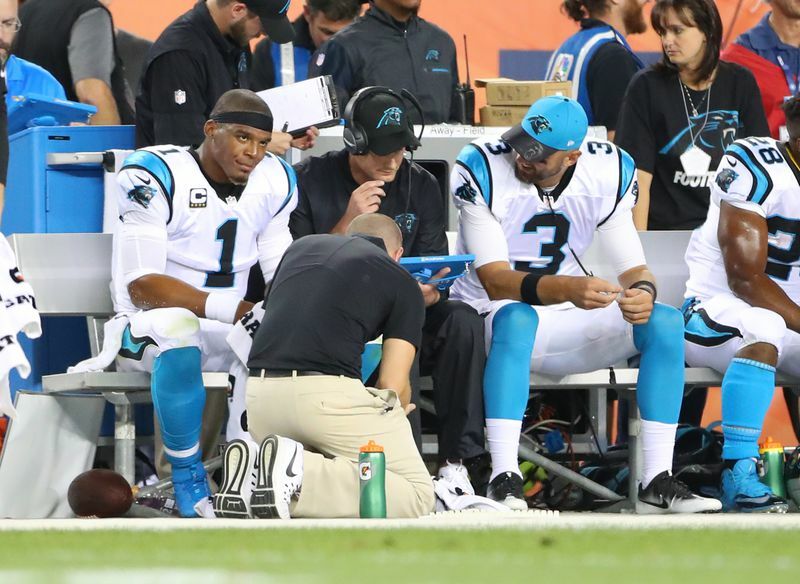 In 2013, Ken Dorsey was named the Carolina Panthers Quarterbacks Coach under offensive coordinator Mike Shula. Dorsey has been working closely with Panthers QB and former IMG pupil Cam Newton since then, helping Newton to the 2015 NFL MVP award, multiple Pro Bowls, and historic numbers for dual threat quarterback. He’s credited with helping Newton develop into a top shelf passer and one of the best players in the NFL today. Dorsey is now considered one of the hot up-and-coming coaches in the league, and interviewed for the Buffalo Bills offensive coordinator position the past off-season. Ken Dorsey was inducted into the University of Miami Sports Hall of Fame at its 45th Annual Induction Banquet on Thursday, April 11, 2013. He continues to rep The U as he builds a great legacy on the NFL sidelines that looks to continue for many years. 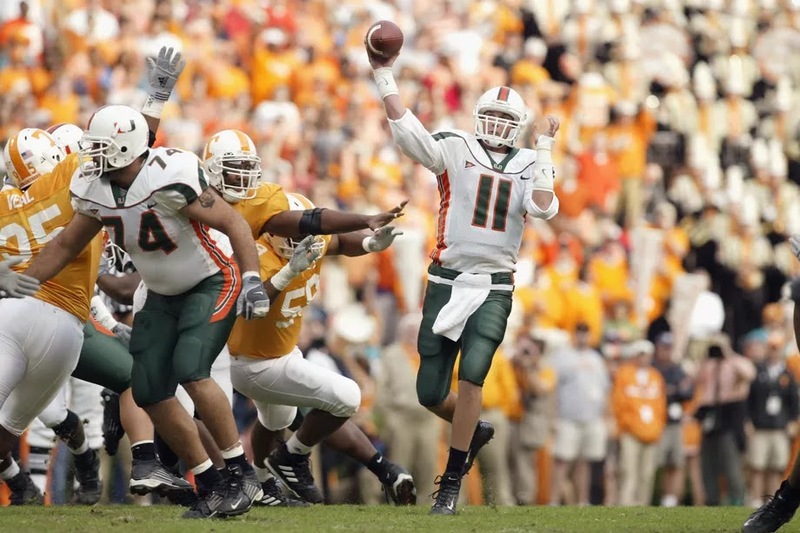 Ken Dorsey - the G.O.A.T of QB U, pushing past a disappointing NFL playing career to reinvent himself as a top NFL coach - living life Beyond The U. We are here to celebrate athleticism in all of its forms: speed, strength, agility, precision, leaping, throwing, kicking, lifting, grappling, punching, dribbling and driving. Versatility is the name of the game for this NFL countdown. These players didn't just run a fast 40-yard dash at the scouting combine or score a bunch of touchdowns. They excelled not just in football, but in other athletic endeavors as well. To make the countdown, an individual had to be a great pro football player—no moonlighting Renaldo Nehemiah-type track superstars allowed. Being a multifaceted football player who could fill multiple roles or positions certainly helped. But nearly every player on this list also demonstrated greatness at some other sport, whether in the NCAA basketball tournament, the Olympics or on a pitch in Australia. The football players on this countdown ran with Carl Lewis, homered off Nolan Ryan and fought everyone from Muhammad Ali to Andre the Giant. There are hurdlers, weightlifters and bobsledders. These athletes have been to the Olympics and the World Series. They've forced other sports to change their rules to stop them, and some even had towns named after them. It takes a great athlete to star in the NFL. But it takes a truly special athlete to make this countdown. Stephen Neal pinned future Heisman Trophy winner Ricky Williams in a high school meet in San Diego. He also pinned future WWE champion Brock Lesnar to win an NCAA championship for Cal State Bakersfield. Neal lettered in football, wrestling, track, swimming and tennis in high school. He chose to focus on wrestling in college, as Cal State Bakersfield didn't even have a football program. As a wrestler, Neal compiled a 156-10 record for the Roadrunners, winning two NCAA titles and various championships and awards. 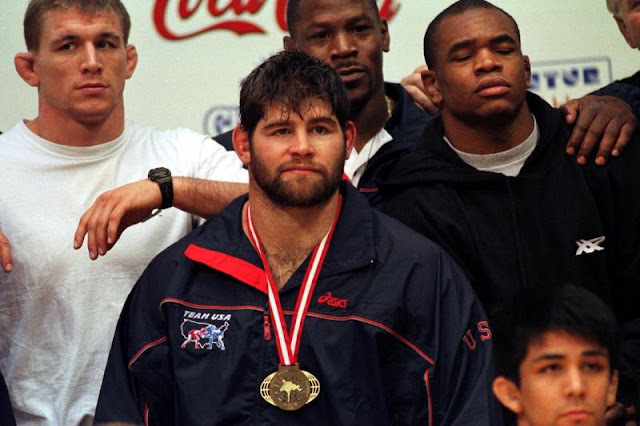 The photo above was taken after he won the 1999 Wrestling World Championships in Turkey. Neal later just missed the cut for the 2000 Olympic team. He then retired from wrestling and began trying out for NFL teams. Though Neal possessed zero college football experience, New England Patriots head coach Bill Belichick liked what he saw. Neal went to camp with the Patriots in 2001, and after a brief detour with the Eagles, he stuck with the Patriots practice squad. He emerged as the starting guard for the 2004 Super Bowl team and started half the season for the 16-0 2007 team. Neal would rank much higher on this list, but shoulder injuries hampered him throughout his football career. After all, Neal is one of the greatest wrestlers in NCAA history, and he's the only person on Earth who can say he won a Super Bowl and pinned both a WWE champion (in a real match) and a Heisman Trophy winner. Robert Smith's football career almost ended before it truly began in 1991. Smith was UPI's No. 1 football recruit in the nation in 1990. He rushed for 2,322 yards and 31 touchdowns in his senior year of high school while winning the 100-meter dash and finishing second in the 200- and 400-meter events in the Ohio high school state track and field championship. Smith chose to attend Ohio State, which is where the trouble began. After Smith enjoyed a stellar freshman season, his commitment to academics—he was pursuing a pre-med degree—rankled some of his coaches. Smith later said he felt like he was "bullied" out of the program. He switched over to track and field and spent a year away from the Buckeyes football program. Fortunately for Ohio State and the NFL, Smith patched things up with the program, opening the door for him to return to football. 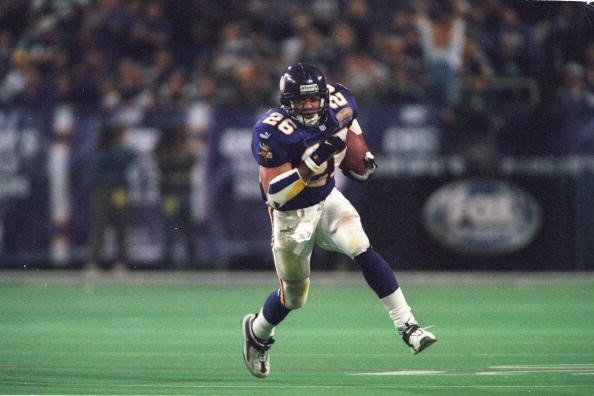 The Vikings selected Smith with the 21st overall pick in the 1993 draft, and after a few injury-marred early seasons, he exploded for four straight 1,000-plus-yard campaigns, joining Randy Moss and Cris Carter to fuel Dennis Green's unstoppable Vikings offense of the late 1990s. Smith was one of the NFL's fastest players in his prime. He was also one of the league's smartest and most disciplined players. Athleticism without brains or discipline can make someone a playground hero. But athleticism with those virtues—plus the courage to stand up to those who want you to compromise—leads to countdowns like this one.